Where two banks once resided, the Funf Höfe (Five Courtyards) is now one of the most attractive shopping passages in Munich. The Swiss architects Herzog & de Meuron, who also built the Olympic stadium in Beijing, created this CityQuartier with exquisite shops. Along the new pedestrian zone in the Sendlinger Straße, on the former site of the Süddeutschen Zeitung, visitors can find the elegant curved passages of the paddock, the new hotspot for fashion, food and lifestyle in Munich. 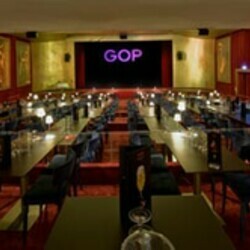 The GOP Variety Theatre Munich is a place where dreams are just beginning. It's curtain up for the glittering world of variety, for its magicians and aerialists, its comedians and compères, for the whole world of acrobatic arts and live entertainment. The former comedy theatre Max II continues the GOP Entertainment Group's tradition of finding extraordinary venues for its variety theatres. For many years, until 2007, the Kleine Komödie am Max II was an integral part of Munich's cultural scene, featuring well-known performers including Johannes Heesters, Ilja Richter, Grit Boettcher, Uschi Glas, Heinz Rühmann and Walter Sedlmayr. When this prestigious venue was forced to close its doors in 2007, the opportunity arose to reopen it as a new GOP Variety Theatre. Since 2008 a series of modern, innovative shows has taken to the stage, each one for two months. Linked by a common theme, the individual shows leave the audience in raptures time and time again. Profound, poetic or bursting with life and energy, each show offers a different experience. Exceptional stage shows and culinary delights combine to create an evening to thrill the senses. The winning combination of premium live entertainment, creative gastronomic concepts and friendly, competent service is precisely what makes the GOP Variety Theatre Munich such a hit with audiences and keeps them coming back for more. 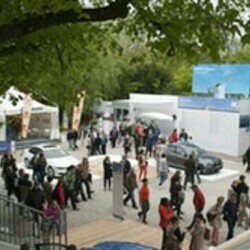 The organisers of the BMW Open, an ATP tournament, see their event as a social occasion that the whole family can enjoy – and they do much to ensure that it's not just tennis fans who will be making their way to the English Garden in Munich. There are hands-on activities for children and grown-ups as well as the ProAm tournament that pitches tennis legends against celebrity players. Famous names from the tennis world such as Ivan Lendl, Roger Federer and Mikhail Youzhny provide plenty of sporting highlights. For grown-ups, it's a haven of bliss – for children, the city's biggest sandpit. The Kulturstrand in Bavaria's capital city is a welcome relief for all, especially city-dwellers who, according to the organisers, are always needing a holiday. There's no plane journey, simply a dream island in the midst of the metropolitan ocean. You can meet on the square, have a chat and swap news. It's like switching from stressed urbanite to cool flaneur. Don't rush past, join in with the rest. Right there, in a public space in the city centre, the Kulturstrand conjures holiday feelings the second it comes into view. Roads become beaches, the buzz of the city becomes the swish of the sea, traffic islands become urban atolls, is how it's seen by die urbanauten, the brains behind the beach. There's a stage programme and a bar – everything's nice and laid-back, relaxed and chilled. 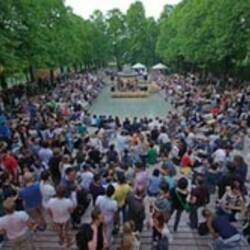 In the evenings there's live music and Munich DJs, films or plays. In the daytime the children's programme turns it back into a family island – and the biggest sandpit in town.